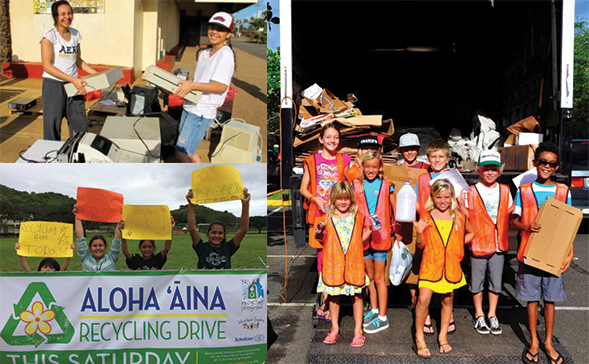 This school year’s Aloha ʻĀina Recycling Drive, in partnership with Schnitzer Steel, kick off at Saint Louis School on Saturday, August 23rd from 9:00am - 12:00pm. Recycling partners will be collecting scrap metal, computers, printer cartridges, laptops, game systems, batteries, TVs, reusable clothing, household items, used cooking oil, paper, corrugated cardboard and HI-5 containers. Proceeds will benefit host schools. Click here for more information.